Sydney is world famous for its tourist attractions and natural beauty, but Sydney also has top quality fishing spots for everyone from the beginner to the experienced angler. Here are our favourite spots just a short drive from Sydney. An angler’s paradise, Brighton-Le-Sands at Cooks River is a fantastic spot to hook yourself some flathead, trevally, salmon, and snapper. Ideal for even beginners, the fishing here is easy and even those casting their first ever line are sure to get a bite. Head down in the early evening when the fish are biting – and to skip the crowds – and you’ll be rewarded with a plentiful catch. The calm waters of Brighton-Le-Sands make it the perfect spot for beach fishing, and a longer rod – 10ft is ideal – will give you the best shot. If you don’t have any luck yourself, the nearby Georges River Sailing Club and the St George Sailing Club dish up some of the best seafood around. Is there a more iconic view in Sydney than the Opera House and the Harbour Bridge? These Internationally famous icons draw visitors from all over the world to Sydney just for a glimpse. But did you know that the nearby Beulah Street Wharf also offers some of Sydney’s best yellowtail fishing? Best suited to very early morning or evening fishing, after the last ferry has passed and the waters have calmed, the Beulah Street Wharf offers up some amazing fishing with stunning views. Swept into the harbour by the currents from the Pacific, this area is teeming with fish just waiting for a line to be dropped. If you do decide that the wharf is the spot for you, make sure you’re up to date with sizing guidelines for fishing, as taking undersized fish could land you with an infringement. 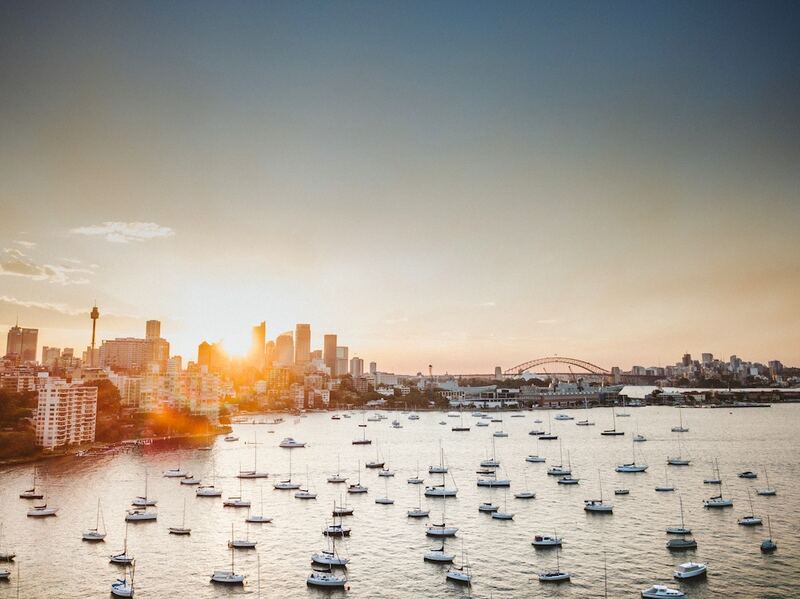 Given the stunning locale, it’s no surprise that the wharf and surround areas can get busy, so you’re best to get in early to snag a spot and wait out the setting sun to catch your bounty – but we can think of worse things than watching the sun set over the Sydney Opera House! A great place to take the family out for a day of fishing, Chowder Bay at Clifton Gardens offers up some great kingfish and bream fishing, and even some garfish for the lucky angler. Head out early, as the best time to drop a line is early morning, and the area can get busy, so it’s first in best dressed at Clifton gardens. With bank and jetty fishing options, Clifton Gardens has opportunities for those trying out fishing for the first time, as well as those seriously into the sport. The huge park area with public barbecues makes this a great spot for a picnic lunch cooking up your catch, and the public pools are fantastic for cooling off once the day starts to warm up. Famous for being the best place in Sydney to catch the elusive Jewfish, the Gladesville Wharf is one of the most popular fishing spots in Sydney. With it’s easy bank fishing suiting anglers of all abilities and experiences, Gladesville Wharf is a must for every Sydneysider looking to fish for fun. Like the Beulah Street Wharf, the Gladesville Wharf is best suited to nighttime fishing, after the ferries have finished, the crowds have moved on, and the waters have calmed. With patience and a little bit of bait, you’ll be rewarded with decently sized bream, as well as other freshwater favourites like leather jackets and flathead. Gladesville Wharf is a catch and release zone, so make sure you return your catches to their watery home. If you’re dying for some fish for dinner, don’t worry, there are plenty of awesome seafood restaurants around the Gladesville area where you can get your fishy fix! The perfect secluded spot with generous fishing, you can expect to find large bream, John Dory, and flathead at Lilli Pilli. Squid also frequent the area, so keep an eye out. For intermediate to experienced anglers, Lilli Pilli offers up fantastic early to mid morning off shore catches. The area is fairly popular, so find your spot early and you’re guaranteed a great morning of fishing. With plenty of parking nearby – and some fantastic rock pools – Lilli Pilli is one of Port Hacking’s real gems and is not to be missed!